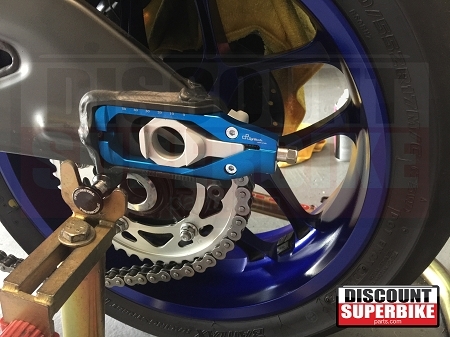 We carry the LighTech quick adjusters for most modern sportbike applications. 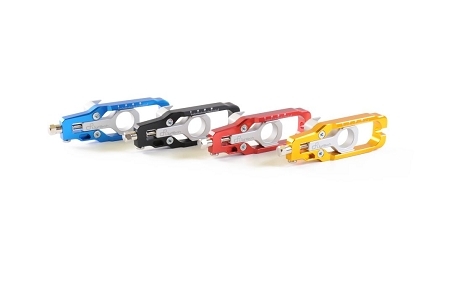 The LighTech chain adjusters come in 4 colors: black, cobalt, gold & red. 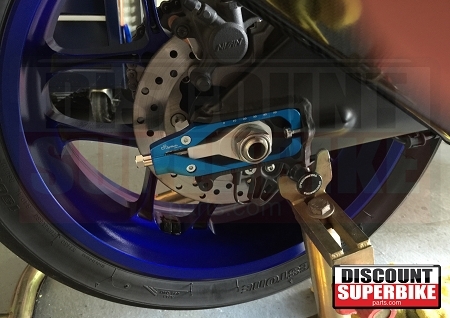 We carry the optional superbike lifters for rear stands. The LighTech Chain Adjusters help align your wheel with your chain when adjusting the slack in your chain. 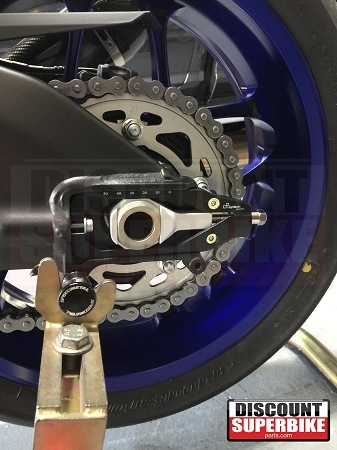 The adjusters make a clicking sound when you spin the adjustment screw to loosen or tighten the chain. You will be able to mimic the exact amount of clicks on both sides of the bike making it easier to adjust your chain. 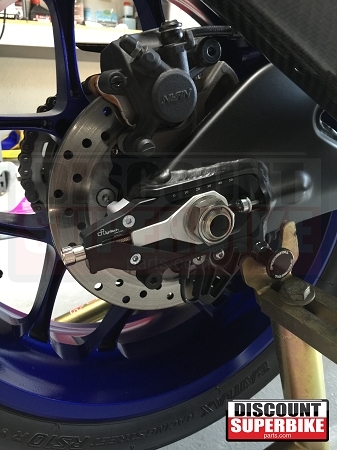 Normally you have to look at those tiny little groves in your swing arm or axle blocks. 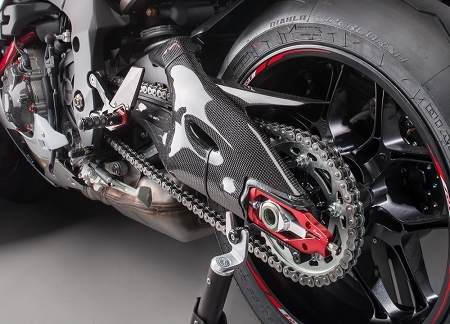 The LighTech chain adjusters will help and make things easier when adjusting your chain on your motorcycle. Pictures strictly show color choice not the actual product picture.